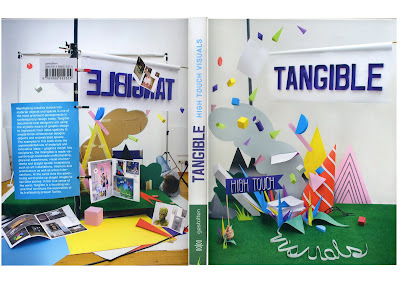 Tangible- High Touch Visuals is a new book out which explores the blurred borders of graphic design, illustration, art, interior design, architecture and craftsmanship. 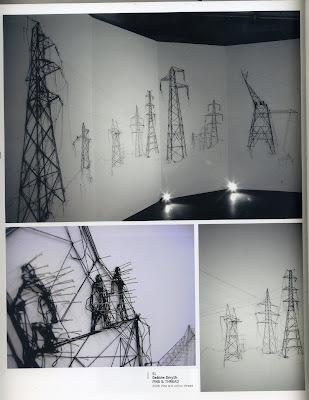 Following in the footsteps of Hidden Track (2005) and Tactile (2007), Tangible presents further developments from the work of young designers and artists who are experimenting with this multidisciplinary approach and creating outstanding original “tangible” designs. Gestalten.tv also has a video interview with Julien Vallée who created the cover and chapter plates for the book. I may be a tad biassed but it trully is an inspirational book. It's predessor Tactile proved to be an indispensable tool during the research for my final year project. I advise anyone who loves to rebel against the digitally dominant age we live in and get there hands stuck into the make and do side of a project, that this is the book for you.